This site actually looks real. It was probably hacked. As these clowns usually do, they are targeting Windows computers with a download virus/malware. 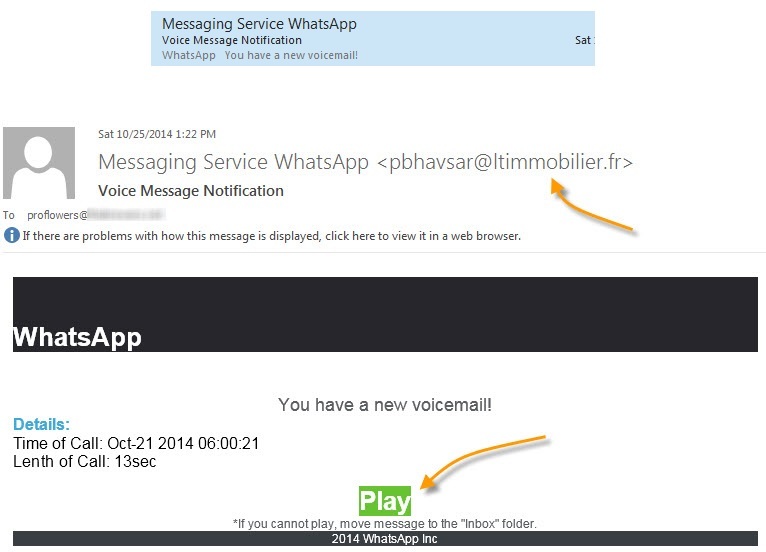 Follow the link on a Windows computer and you are requested to download your “voicemail”. Why is this? Quite simply, most people set themselves as the administrator on a Windows computer. When you do this, there is no password required to download anything, hence, it is easier to trick you. On a Mac you are always asked for the password, give the malware one more hurdle to cross.